Why our political leaders should follow in Jacinda Ardern’s footsteps. Not everyone is meant for it, and those who are in such a position (through voting or more dubious means) often forget what their role actually entails. With our general election drawing nearer (May 8 is closer than we're ready for), we’re seeing the kind of election campaigning that has many of us, once again, unsure of whom to throw our lots in with. Parties are taking cheap shots at each other, promising South Africans things based on what other parties are failing at. The propaganda machine is hard at work, sowing dissent and playing into many people’s feelings about opposition parties. What we're not hearing is how parties are planning to fight crime, nor are we gaining any understanding of how they will be helping communities and eradicating poverty. It's all about the blame game, and things like accountability and looking out for the people of South Africa take a backseat in a bid to stay in or fight for power. However, I think it’s fair to say that a lot of leaders across most of the world aren’t doing that much of a stellar job in terms of running their countries either. Thanks to president Donald Trump, the U.S. has become a bastion for white supremacy, the UK’s prime minister Theresa May is sitting with the Brexit mess, and the people of Venezuela continue to suffer under the hands of greed, corruption and poor leadership. And leaders have to show their mettle when it comes to crises. Closer to home we're looking at how the Mozambican president, Filipe Nyusi will lead his country as the devastation of cyclone Idai continues to grip his citizens. Her call for safety and love has seen a tremendous outpouring of love from New Zealanders. A name many of us may have known or heard in passing, but a woman who really made us sit up and take notice over the past week when she showed us what a global leader ought to look like. Not only that, but New Zealand’s prime minister proved that she goes beyond the lip service that so many political figureheads are guilty of, and not only talks the talk, but walks the walk. In the aftermath of what has been one of New Zealand’s most devastating terrorist attacks, Jacinda Ardern has not only become a symbol of hope and compassion for the Muslim community in Christchurch, but she has become a global example of what we as a society need from a leader. Another hidden talent, the 38-year-old has, was as a science whizz in school. The list of what she’s been doing has shown a level of compassion that has not only translated into action that we very rarely see, but has also shown that how you lead a country really, really matters. Where leaders like Donald Trump continue to sow dissent and promote a profoundly racist and xenophobic rhetoric, Jacinda uses her empathy to call for decisive action. That, in turn, has had a global ripple effect. Recently on our local news, the community of Bonteheuwel showed how united they were as a community when the Christians in the community wore hijabs and stood around the local Mosque so that the Muslim community could pray in peace. This thread on Twitter also explains a little more in detail about everything else that has happened in New Zealand post-attack, and needless to say, it’s very heart-warming to see. 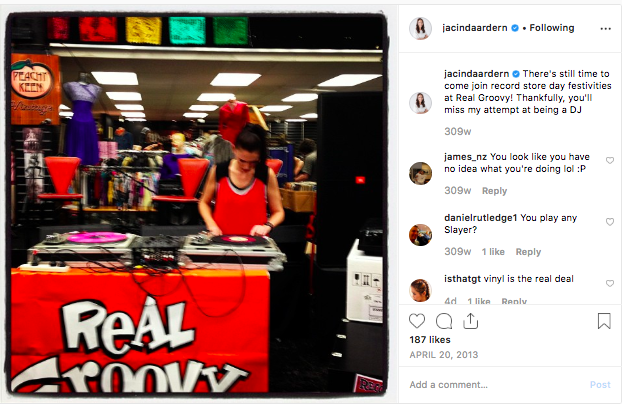 It turns out though that Jacinda has pretty much been a phenomenal leader since day one. According to Nationbuilder.com, while she may be the youngest prime minister New Zealand has had thus far, she quickly became so popular that the campaign surrounding her rise was dubbed Jacindamania. Her connection to the people and how she interacts with her supporters is what many have been crediting as the key to her success. Going out and meeting people on equal footing has shown how attuned she is to the fact that leadership isn’t just about being in a position of power. And the Muslim community are not the only community that she’s openly supported. The Guardian.com notes that she is the first New Zealand prime minister to have attended a gay pride festival. During the festival, she used her voice to call for more help and support for members of the LGBTQ community, particularly those struggling with mental health problems. She also acknowledged the fact that the community still faces a lot of bullying and discrimination and called for more work to be done for the LGBTQ community to feel safer. Of course, as a woman, Jacinda has had to face her fair share of struggles too. Most notably, she has had to deal with sexism within her field, particularly when it came to the issue of her pregnancy. We stan a powerful woman with a sense of humour. And someone who can get down as much as the rest of us - check out photos of her as a DJ. Another hidden talent, the 38-year-old has, was as a science whizz in school. For the first time in a long time, Jacinda has shown us that there is such a thing as a capable leader and has provided New Zealand and the world with a little something our global community has sorely been lacking: hope. If the rest of our leaders, both local and international could follow in her footsteps, the world would be so much better for it.